Home/NESCO, NESCO Tips, Water Kettle/Tea Tips. Yummy Good. This holiday season try using dehydrated fruits for a boost of flavor to your cup of tea. 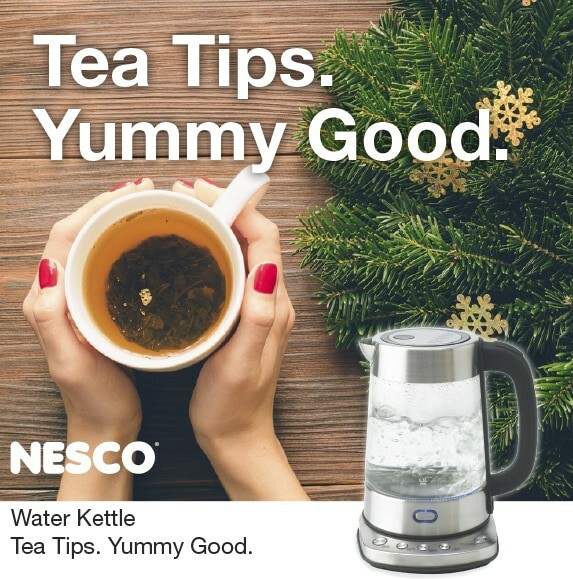 Start with a cup of hot water from your NESCO Glass Water Kettle and your favorite tea. Then add ground dehydrated dried oranges and dried cinnamon apple slices. This also works great with cider or plain hot water. Start with small amounts and adjust to your liking. Another favorite of ours is just plain hot water with dried lemon slices from our NESCO/American Harvest Food Dehydrator and a mint leaf . . . mmm good. Try one of these tips and let us know what you think. Or if you have a tip to share we would love to hear.